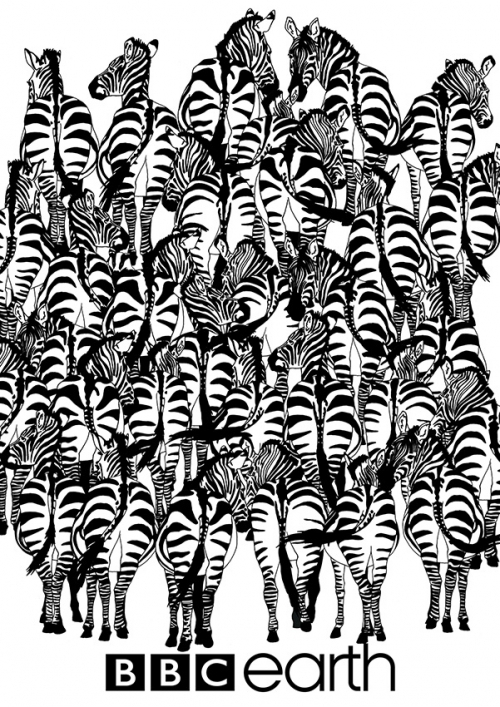 BBC Earth challenges you to find the badger hidden in this image of a herd of zebras. Below, a badger is hiding among a herd of zebra. Can you spot it?